ARPAGIAN Nicolas, Lacyberguerre. La guerre numérique a commencé, Vuibert 2009. ARPAGIAN Nicolas, LaCybersécurité, Presses Universitaires de France, 2018. ARQUILLA John et RONFELDT David, Networksand Netwar : the Future of Terror, Crime and Militancy, Rand 2002. ARQUILLA John et RONFELDT David, cyberwar is coming, Comparative strategy, vol. 12, N°2, printemps 1993, P.141-165. 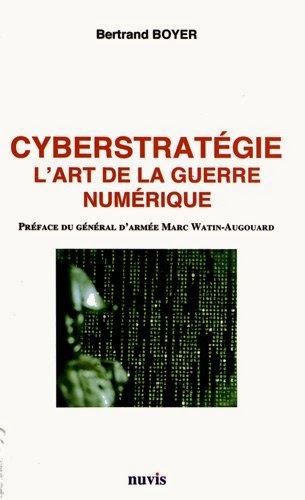 BOYER Bertrand, Cyberstratégie, l’art de laguerre numérique, Nuvis, 2012. 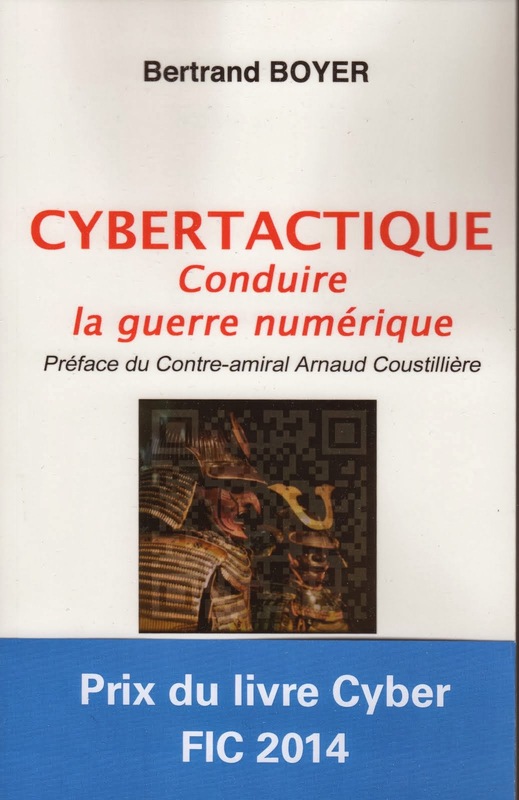 BOYER Bertrand, Cybertactique, conduire la guerre numérique, Nuvis, 2014. BRENNER Susan W., Cyberthreats,the emerging fault lines of the Nation State, Oxford University Press, 2009. BRYANT William D., International Conflict and Cyberspace superiority, Londres, Routledge, 2016. CARR Jeffrey, Inside Cyber warfare, mappingthe cyber underworld, O’Reilly, 2009. CATTARUZZA Amaël, DANET Didier, TAILLAT Stéphane (dir), La cyberdéfense, politique de l’espace numérique, Armand Colin, 2018. CLARKE Richard et KNAKE R. Cyberwar : the Next Threat toNational Security and What to do About It, Ecco Press 2010. DEMCHAK C., Wars of Disruption and Resilience : Cybered Conflict, Powerand National Security UGA Press 2011.DOSSÉ Stéphane et KEMPF Olivier, Stratégies dans le cyberespace, L’esprit du livre, 2011. DOSSÉ Stéphane, KEMPF Olivier, MALIS Christian, Cyberespace, nouveau domaine de la penséestratégique, Economica, 2013. DOSSÉ Stéphane, BONNEMAISON Aymeric, Attention cyber ! Vers le combat cyber-electronique, Economica, 2014. FRIIS, KARSTEN, RINGSMOSE, JENS (dir), Conflict in Cyber Space. Theoretical, Strategic and Legal Perspectives, Londres, Routledge, 2016. GERGORIN Jean-Louis et Leo Isaac-Dognin, Cyber, la guerre permanente, Les éditions du Cerf, 2018. GRANT R., Victory in Cyberspace, Air Force Association des États -Unis, 2007. 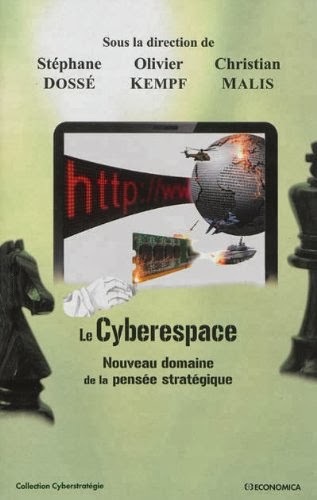 GUISNEL Jean, Guerre dans le cyberspace, La Découverte, 1995. HARREL Yannick, Cyberstratégie Russe, Nuvis, 2013. 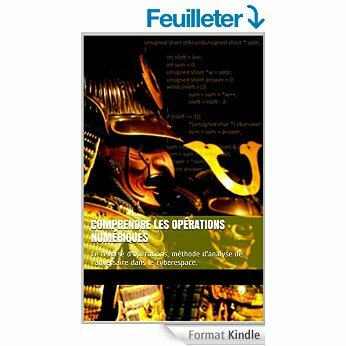 HECKER M. et RID Thomas, War 2.0: Irregular warfare in theinformation Age, Praeger, 2009. HENNION Romain, MAKLHOUF Anissa, La cybersécurité, une ouvrage unique pour les managers, Eyrolles, 2018. HENROTIN Joseph, L’art de la guerre à l’âge desréseaux, ISTE Editions, 2017. HUYGHE François-Bernard, KEMPF Olivier, MAZZUCCHI Nicolas, Gagner les cyberconflits, au-delà du technique, Economica, 2015. 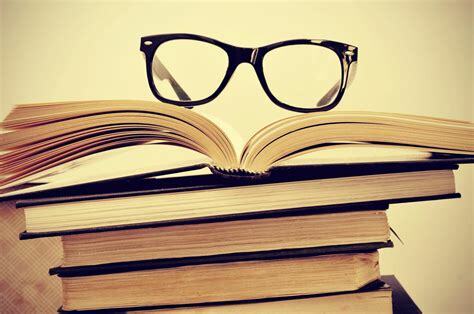 JANCZEWSKY Lech et ANDREW Colarik, Cyber warfare and cyberterrorism, Information Science Reference, 2007. KAPLAN, Fred, Dark Territory, The Secret History of Cyber War, New York, Simon and Schuster, 2016. KEMPF Olivier, Introduction à la cyberstratégie, Economica, 2012. KLIMBURG Alexander, The Darkening Web: The War for Cyberspace, Penguin Press, 2017. KRAMER Franklin, STARR Stuart, WENTZ Larry, Cyberpower and National Security. National Defense University Press and potomac books, inc 2009. LEVINE Yasha, Surveillance Valley/The Secret Military History of the Internet, PublicAffairs, 2018. LIBICKI Martin, Cyberdeterrence and Cyberwar, RAND Project Air force, 2009. 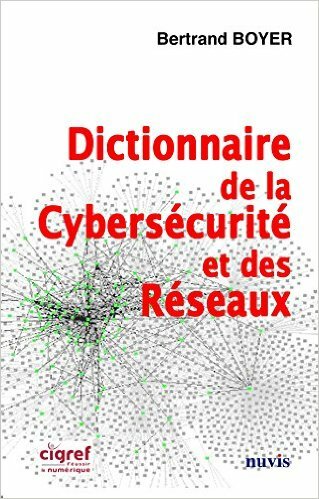 LIBICKI Martin, Conquestin cyberspace: national security and information, Cambridge University Press, 1er édition, 2007. LONSDALE, David J., The Nature of War in the Information Age, Londres, Frank Cass, 2004. Maurer Tim, Cyber Mercenaries : The State, Hackers, and Power, Cambridge University Press, 2018. NYE Joseph, Cyberpower, Harvard University, 2010. QUEMENER Myriam et FERRY Joel, Cybercriminalité : défi mondial et réponse, Paris, Economica, 2007. RATTRAY Gregory, Strategic warfare in cyberspace, Cambridge, Mass MIT Press, 2001. RID Thomas, Cyber War will not take place, New York, Oxford University Press, 2013. RID Thomas et HECKER Marc, War 2.0. Irregular warfare in the information age, Praeger security international 2009. ROSSOR Benjamin, Agir sur l’e-réputation del’entreprise, Eyroles, 2012. SANGER David, Confront and Conceal: Obama’s secret wars, Crown, 2012. TROUCHARD Philippe, La cybersécurité, au-delà de la technologie, Odile Jacob, 2016. VENTRE Daniel, Cyberattaque et cyberdéfense, Lavoisier, 2011. VENTRE Daniel (dir) Ouvrage collectif, Cyberguerreet guerre de l’information. Stratégie,règles et enjeux, Lavoisier 2010. VENTRE Daniel, La guerre de l’information, Lavoisier 2007. VENTRE Daniel, Information Warfare, 2e edition, ISTE Wiley, 2016. WAUTELET Michel, Les Cyberconflits, GRIP / Complexe, 1998.